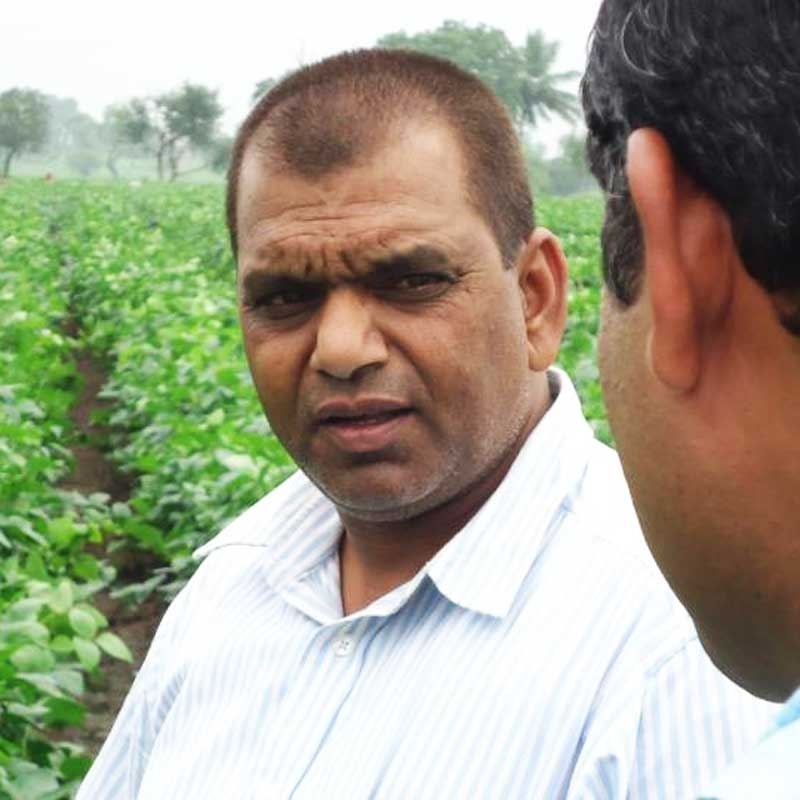 Jay Prakash Patidar is a successful farmer from Ratlam, Madhya Pradesh. He has been a front runner in Guava production in the area. He along with other progressive farmers in the area started growing Thai Guava to cater to the growing demand for the fruit in the Indian markets. The movement of diversifying from vegetable croping to Guava crops has widely helped the farmers. Jay Prakash claims to have the best Thai Guavas in town. Thai guavas are generally the size of a softball with apple green skin that can range from bumpy to smooth. The flesh is white with pale yellow seeds and tends to be drier than the pink type of guavas. Thai guavas are only mildly sweet and have very little fragrance. The crunchy flesh and hard seeds are both edible. Thai guavas are often eaten slightly under ripe and raw dipped in salt or sugar mixed with dried chili. They can be julienned and added to green mango or papaya salads. Fresh guava spears can be pickled and used on their own or as an accompaniment to roasted chicken. Chopped Thai guava also goes well in sweet applications as an unusual pie filling.